I am a fan of O Magazine, and every month, the editors interview a celebrity who answers questions on the best things in life in a feature called, My Best Life. This month, the editors interviewed Blake Lively, who is starring in the new film, The Age of Adeline, about a woman who stays 29 for about 80 years. Here is how I answered the same questions. My best collection is my Christmas ornament collection. But a close runner up is our refrigerator magnet collection. 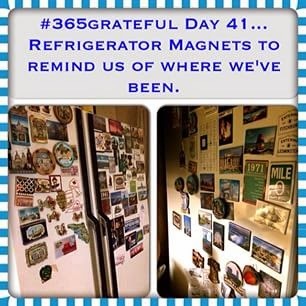 My husband likes magnets as souvenirs because it reminds him of where we've been and they don't take up much space, except on the fridge. If I had a free day, all to myself, I would wake up with the sun. I would do some work in the morning...blogging, reading, and checking in with my wellness groups and fitness challengers. Then, I would press play on a workout or go workout with my trainer. I would meet up with a friend for lunch and maybe do a bit of window shopping or see an early afternoon matinee. I would prep for and then have dinner with my husband and then we would go for a walk. I might climb into bed with a book or a magazine, watch a little tv, snuggle down for the night, and call it a day. If my husband also had the day off, we would get up early and venture out to the city or to explore a town where we have never been. Date night all day. A warm hug, a walk outside, a good workout, or a hearty belly laugh. In Massachusetts, the best part of growing up is having access to any place you want to go. Because Massachusetts is small, it's within an hour's drive, or so (at least from Central Mass) to the beach or the mountains, the city or the country. You're also within an hour's drive of the other New England states and about five hours from Montreal, eight hours from Toronto, six hours from Philadelphia and about three and a half hours to Manhattan. Massachusetts has great universities, Tom Brady, and an unmatched sports dynasty. Boston proper is such a young, vibrant, walkable city with so much to see and do. Massachusetts has it all, except warm winters. 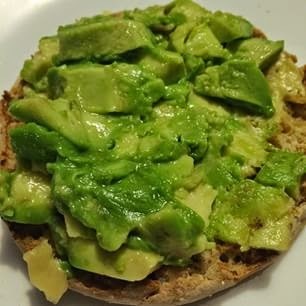 Avocado toast. Mash one half ripe avocado onto a piece of thick, multi-grain toast. Sprinkle with sea salt. How would you answer the same questions? I'm totally with you on the day off! That sounds like a wonderful day! A walk outside is a good stress reliever, I would answer the same way. Outside time is precious, especially on days like today. Spring is here!